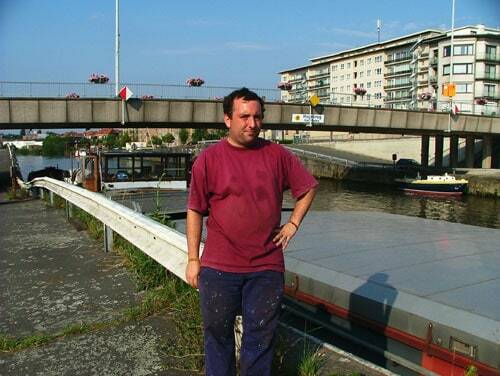 29th June 2009 – I would love to have my deck again in blank metal. Whenever I have some time I remove paint and rust. To make sure no new rust is coming, I try to protect my deck with some oil. After building some more storage space in the engine room, I spent most of the evening chipping rust. 27th June 2009 – We left at 8:45 in the morning. Besides a lot of food, the skipper, owner and me, we also took plenty of water with us in case we needed filling the engine. We slowly sailed towards the first lock. This was the only one we had to wait some time. My parents came to say hello and wish us a good trip. The next lock and bridges to get out of Bruges all went smooth and quickly. Between two bridges we had some trouble loosing control of the steering but the skipper quickly discovered the cause. The regulator was slightly bent on the control panel. Since there were a lot of mussels the ship sailed slowly, even on full power. Every now and then we had to slow down because a red light was warning us on the temperature of the engine. 26th June 2009 – In the afternoon I went helping to close the floor in the hold, together with some people from the organization that owns the Arma. Later that day the skipper came to make a little test drive with the ship. After a few minutes the engine started to overheat. We sailed back with the bow thruster and moored the ship again on his mooring. It was clear, we wouldn’t sail tomorrow to Harelbeke. Since they really wanted to leave, I called a friend to come and help sorting out the problems. By the end of the evening, all covered in oil and grease, the engine was running. Air had come in the cooling system. It was good to know we would leave Bruges tomorrow, but it wouldn’t be on full speed. 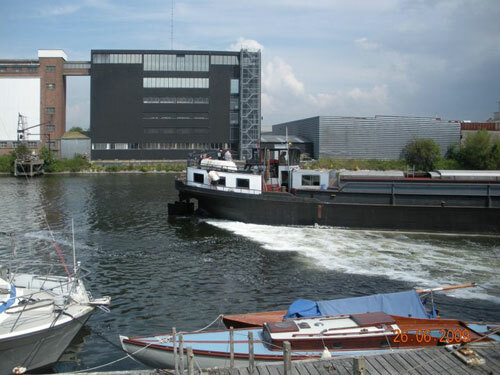 On one year time, the hull was completely grown with mussels and weed. 22nd June 2009 – I went having a look at the Arma. The engine is running now. The batteries of the bow thruster will be replaced later this week, so we have no knowledge of the situation for this engine. 22nd June 2009 – In the engine room I continued building shelves and storage space for my spare parts, paint and other heavy tools. 18th June 2009 – I went looking for a kitchen. Since I would like to live permanently in the hold by this winter, I needed a small kitchen. Since I had made up my mind and took a small plan with me it was relative easy to find what I wanted. 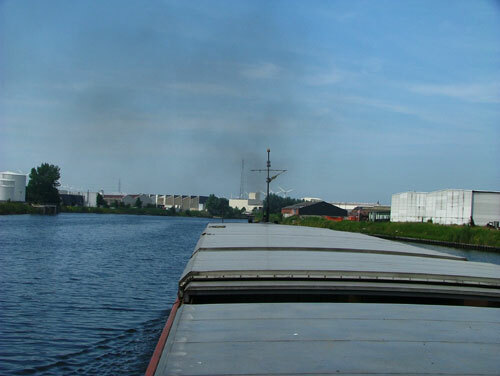 16th June 2009 – Friday we will sail with the Arma to a small yard in Harelbeke for a major conversion. As expected, the engine wouldn’t start. 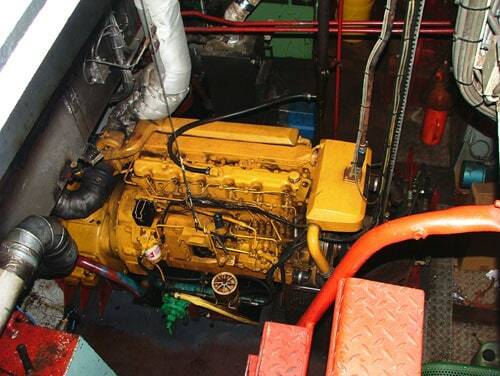 The only engine that ran was the generator since it is hand started.